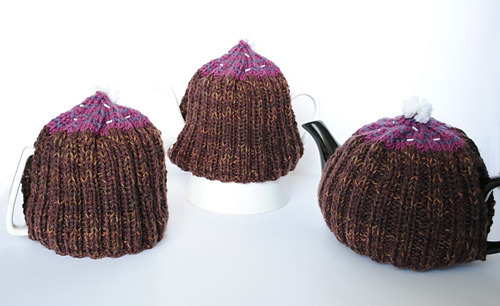 This tea cosy is stretchy and fits different shaped teapots. Like the jeans in The Sisterhood of the Traveling Pants. It’s a relatively quick knit in the round.